As mentioned in previous posts. Lincoln's Last Days: The Shocking Assassination That Changed America Forever, hot off the presses (it came out last week) is an asset for any library or classroom. This graphic text (with LOTS of photos, maps, illustrations - not a graphic novel) is a special illustrated edition of the #1 New York Times bestseller "Killing Lincoln" written by Bill O'Reilly that was adapted by Bill O'Reilly and Dwight Jon Zimmerman. I loved reading every bit of the book which is chock-full of gory, grim details describing Lincoln's last days -from the end of the Civil War (leading to the fall of Richmond and Lee's surrender) to the wild chase and capturing of John Wilkes Booth and his collaborators. While this book is geared for middle and high school readers, it reads so well, and is so full of information, it will be enjoyed by ALL who read it. Let me first tempt you with some 'gems' of information found throughout the book...then I'll share my review...and end with teaching ideas (for those still with me). On Palm Sunday, April 9, 1856, Appomattox Court House (which at that time was the name of a little village in Virginia named after its courthouse)- when Lee and a small group of aides (with a flag of truce) rode up to a spot between Union and Confederate lines to surrender, Grant was miles away suffering from a severe migraine headache. It took two hours for the Union soldiers to acknowledge and respond Lee, who was informed an attack was imminent. They returned to their lines, the attack was launched, and when Lee tried to surrender a second time - this time sending a hastily written through Union lines - while under fire, the Union colonel in charge told them that he did not have the authority to break off the attack. Eventually Lee's request for surrender was taken to General George Meade who ordered a 60-minute truce. Lee's request was then taken to Grant and they met later at the the Wilmer McLean farmhouse at Appomattox Court House to sign a truce. After the war, Robert E. Lee applied for a pardon for his acts. Then Secratary of State, William H. Seward gave this request to a friend as a souvenir. As a result, it was never filed. The document was discovered over 100 YEARS later. President Gerald Ford officially reinstated Lee as a U.S. citizen in 1975. While soldiers had to be at least 18 years old, boys as young as 12 were allowed to enlist and serve as "DRUMBEATS" a noncombat position. Troop movement commands were communicated by different drumbeats and bugle calls. As a result, while this was considered a 'noncombat' position, these boys found themselves in the thick of battle and many were wounded and killed as a result. While women were not allowed to enlist, approximately 400 women cut their hair short, disguised themselves as men and fought for both sides. This was not especially difficult to do as there were no physical examinations with enlistment. Booth's plan began in 1863 as he recruited 'a gang' to help him kidnap Lincoln. The change from kidnapping to murder occurred at the last minute - two days before the murder. Booth's efforts were funded by (then Confederate president) Jefferson Davis who had set aside more than $1million in gold to pay for acts of espionage and intrigue against the Union. Much of this money was kept in Canada. Booth's plot to kill Lincoln was not the first threat against Lincoln's life. The first plot was "The Baltimore Plot, 1861" when the Knights of the Golden Circle planed to hoot him as he traveled to Washington for his inauguration. Only in 1864 did Lincoln begin having any semblance of armed protection beyond the walls of the White House. Two armed officers remained at his side from 8:00 AM -4:00 PM; one officer stayed from 8:00 PM until midnight, and a fourth remained with him from midnight until 8:00 AM the next morning. Secret Service officers had not yet been established. John Parker, the bodyguard who accompanied Lincoln to the theater,was sitting outside the door the the Lincoln's balcony box. Parker was bored, couldn't see the play, and got thirsty. So, he pushed his chair against the wall and left to go to Taltavul's Star Saloon next door- leaving Lincoln, Mary, and their two guests, Major Henry Reed Rathbone and his fiancee Clara Harris - with no protection. Nor did he attempt to offer any assistance (or even appear for duty) after the shot was fired. 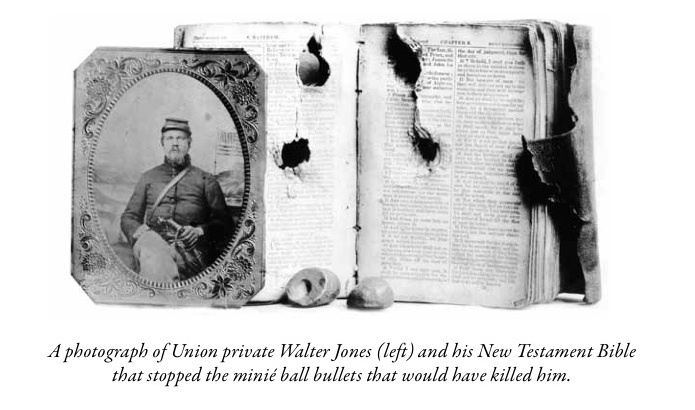 Lincoln was shot at approximately 10:15 PM, Friday April 14, 1865 as a bullet was sent through is head. While still technically alive, Lincoln never regained consciousness. He was taken to the Petersen House nearby where attended by physicians. Saturday, April 15, 1865 at 7:22 AM Lincoln drew his last breath and at his side, Secretary Stanton uttered, "Now he belongs to the ages."